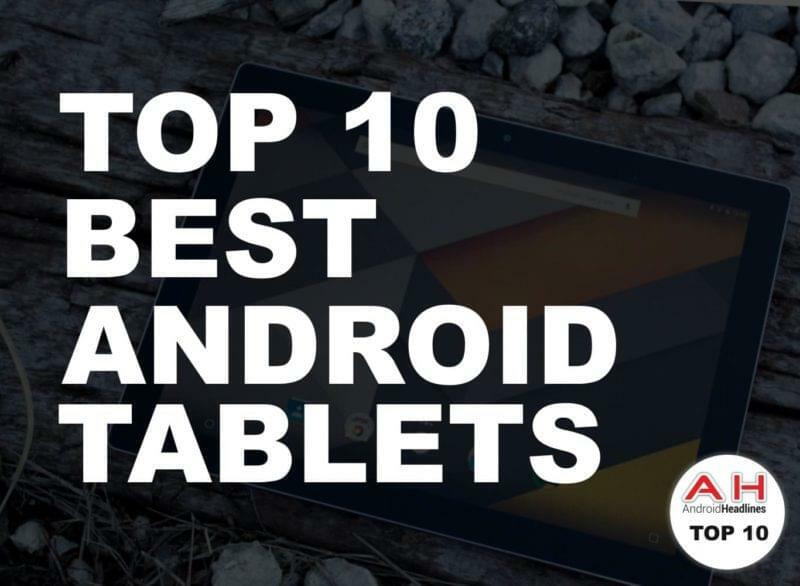 Compared to last month, several products have been added to our best Android tablets and 2-in-1s list, including Amazon’s new Fire HD 10 tablet, and the Pixelbook, Google’s newest hybrid which was announced next to the company’s new Pixel phones. The Amazon Fire HD 10 tablet is available for purchase as we speak, while the Pixelbook is up for pre-order at the time, but will become available soon. There are quite a few of additional, interesting products listed down below, so read on if you’re interested. 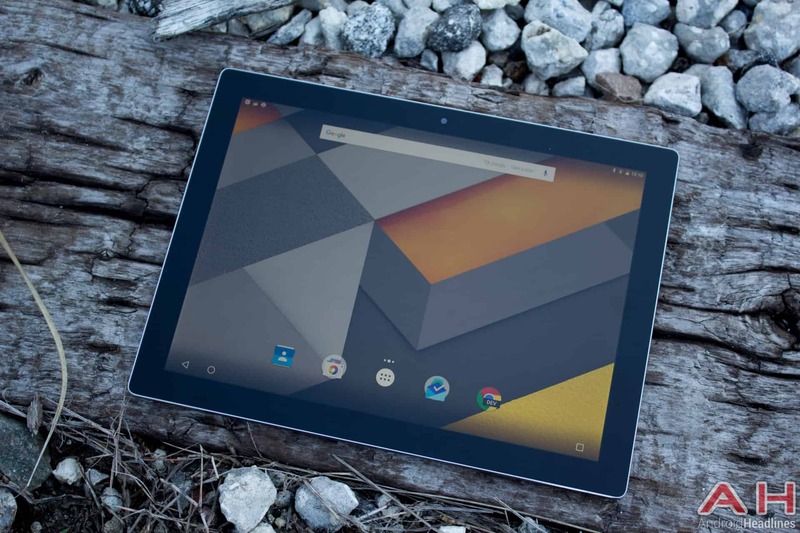 The Google Pixel C is Google’s very own tablet which was announced back in October 2015. Even though it has been two years since this tablet was announced, it’s still relevant due to the fact how slow the tablet market is these days, and after all, it’s still a rather good tablet, though it’s still quite pricey, it costs $499 over at Amazon at the moment. The device is made out of metal, it sports a 10.2-inch 2560 x 1800 display, and in addition to that, you’re also getting 3GB of RAM and 32GB / 64GB of native storage here. NVIDIA’s Tegra X1 quad-core SoC fuels this device, and Android 6.0.1 Marshmallow comes pre-installed on it, though you will be offered an update to Android 8.0 Oreo when you start using it, as Google did release the latest version of Android for this device. The Sony Xperia Z4 Tablet is definitely not one of the newer tablets out there, but it’s still quite compelling if you’re looking for a sleek-looking tablet, and are not really looking to get the newest product out there. 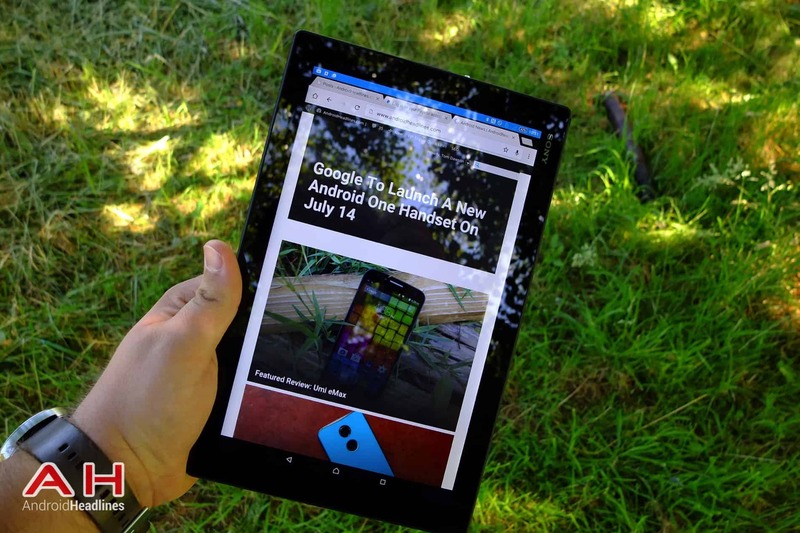 This tablet is made out of metal and glass, while it sports a 10.1-inch 2560 x 1600 display. The Xperia Z4 Tablet comes with Android 5.0 Lollipop out of the box, but it is upgradeable to Android 7.0 Nougat. This tablet comes in both Wi-Fi and 4G LTE variants, though only the 4G LTE model seems to be available for purchase from Amazon. 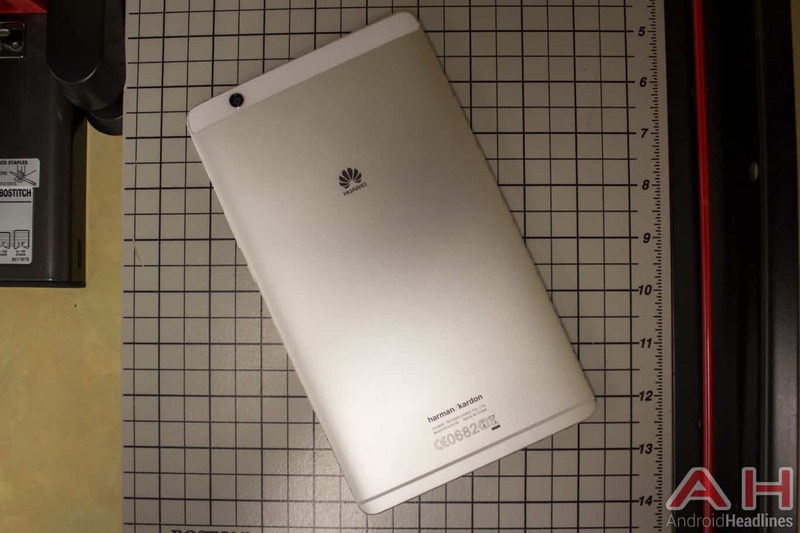 The Huawei MediaPad M3 tablet was announced back in September last year, and it’s actually a rather solid offering by this China-based company. The device is made out of metal, and it sports a front-facing fingerprint scanner which doubles as a home key. The MediaPad M3 sports an 8.4-inch 2560 x 1600 IPS LCD display, while it is fueled by the Kirin 950 64-bit octa-core processor. This tablet sports an 8-megapixel camera on both its front and back sides, while Android 6.0 Marshmallow comes pre-installed on it, though you’ll find Emotion UI (EMUI) on top of it. The 32GB storage variant of this tablet is currently priced at $299 at Amazon, while the 64GB storage model costs $347.87. The Amazon Fire HD 10 tablet was announced in September 2017, and it actually comes in two variants, one variant sports 32GB of storage, while the other one comes with 64GB of native storage. This tablet sports a 10.1-inch 1920 x 1200 display, while you’re also getting 2GB of RAM here. 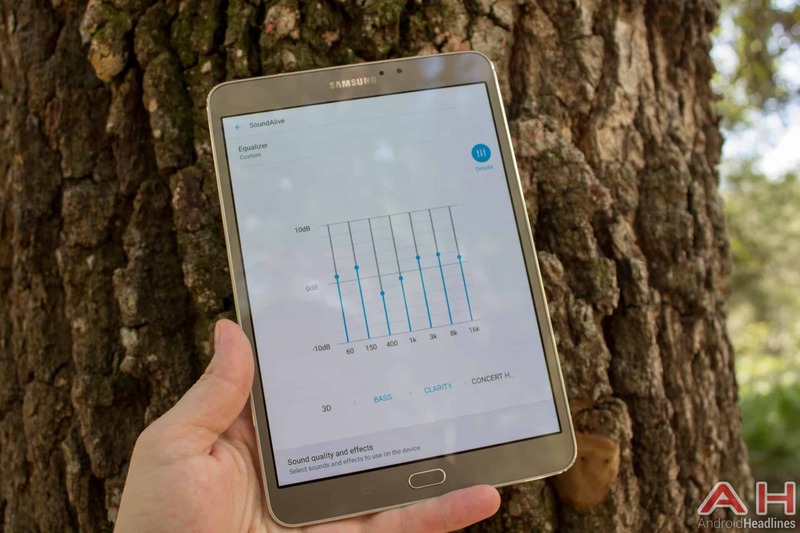 Dolby audio is also a part of the package here, and those of you who are interested in getting the tablet, should also know that it is fueled by a quad-core processor clocked at 1.8GHz. 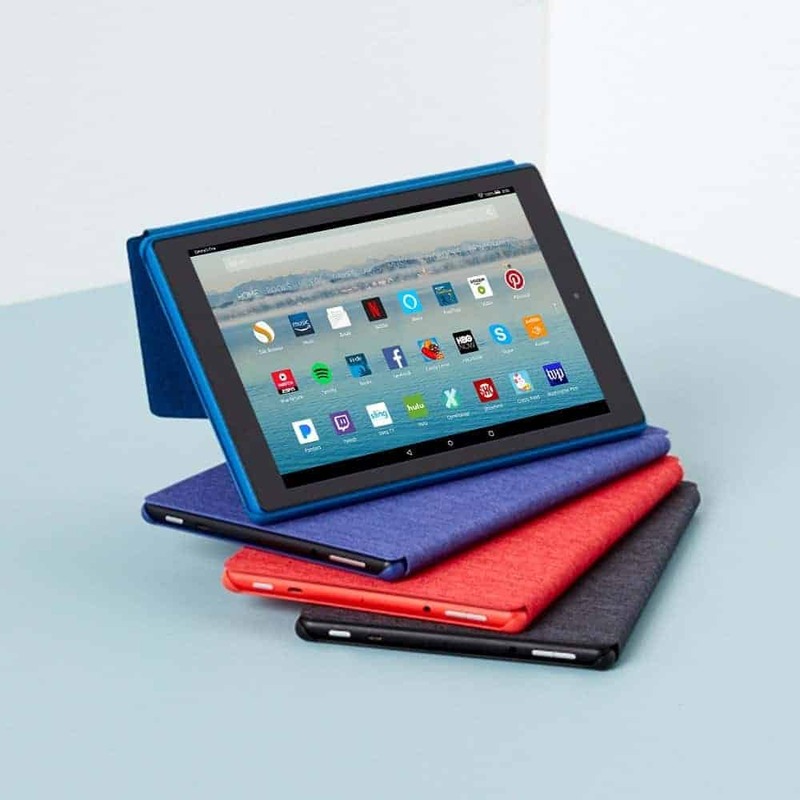 The Amazon Fire HD 10 tablet is currently available over at Amazon in Black, Marine Blue and Punch Red color variants. The 32GB storage model of the Amazon FIre HD 10 is priced at $149.99, while the 64GB storage variant costs $189.99. The Galaxy Tab S2 might not be the latest or greatest ‘Galaxy Tab S’ tablet at the moment, but it’s considerably more affordable than the Galaxy Tab S3. This tablet comes in both 8 and 9.7-inch variants, while it sports 3GB of RAM. The device comes with a front-facing fingerprint scanner / home key, and it is currently available from Amazon, well, at least its Wi-Fi models are, for both 8 and 9.7-inch tablets. The Galaxy Tab S3 is made out of metal, and it there are two capacitive keys included on its front side, next to the tablet’s home key. The Galaxy Tab S2 comes in Black, Gold and White color variants. 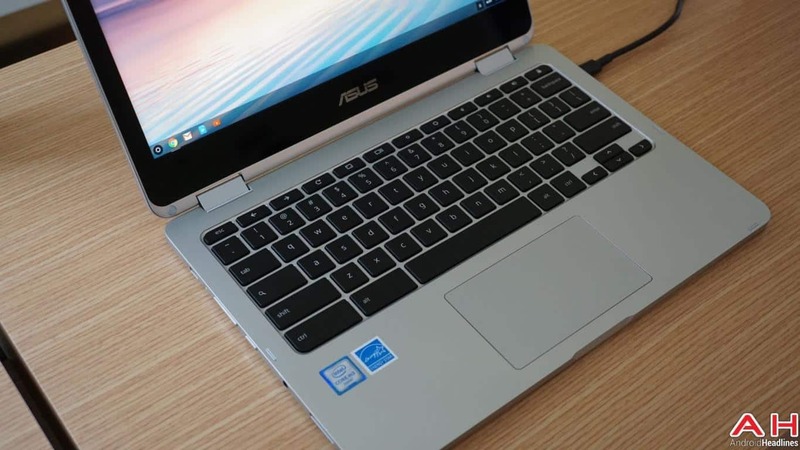 The ASUS Chromebook Flip C302 is one of the newer Chromebooks out there. This device sports a 12.5-inch fullHD (1920 x 1080) display, while it comes with 4GB of RAM. The device is made out of metal, while it is fueled by the Intel Core M3 processor. 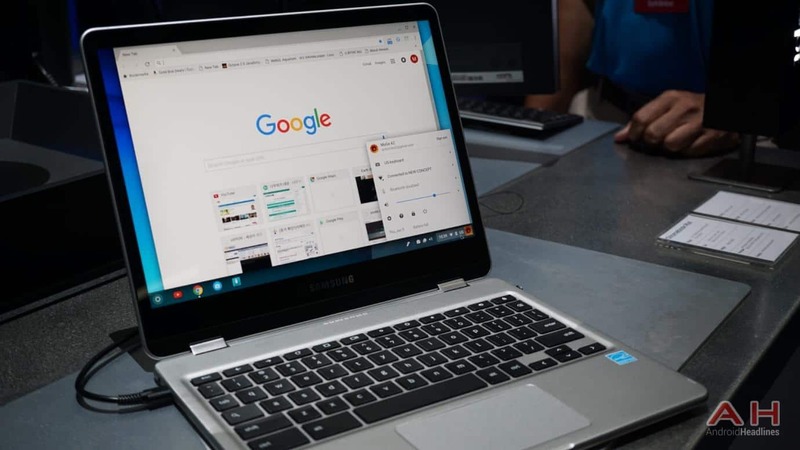 This Chromebook, much like every other Chromebook which got announced in 2017, is capable of running Android apps, and it is currently priced at $459.99. The Lenovo Yoga Book sports a 10.1-inch 1920 x 1200 display, while this tablet comes with 4GB of RAM and 64GB of internal storage. 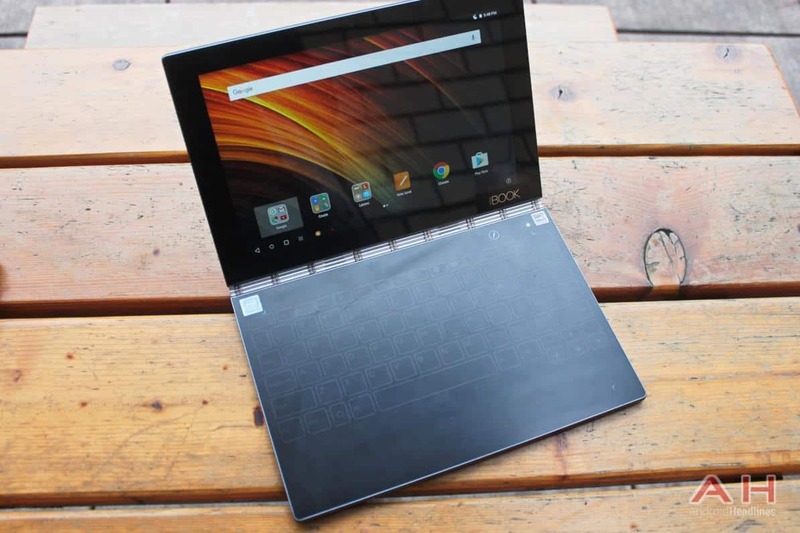 Intel’s Atom X5-Z8550 SoC fuels the Lenovo Yoga Book, while Android 6.0 Marshmallow comes pre-installed on this device. Those of you who are interested in getting this tablet should know that it is currently discounted by 32 percent over at Amazon, as it costs $339.99, it is quite a bit more affordable than it originally was. The Samsung Chromebook Plus and Pro are the two Chromebooks Samsung introduced earlier this year. The Samsung Chromebook Pro is the more powerful of the two, it comes with a fairly more powerful processor, while both devices can run Android apps without a problem, if that’s something you’re looking for. It’s also worth noting that both of these devices come with a touchscreen, so you can, essentially, use them as tablets as well. The Samsung Chromebook Plus can be purchased for $437, while the Samsung Chromebook Pro costs $499. 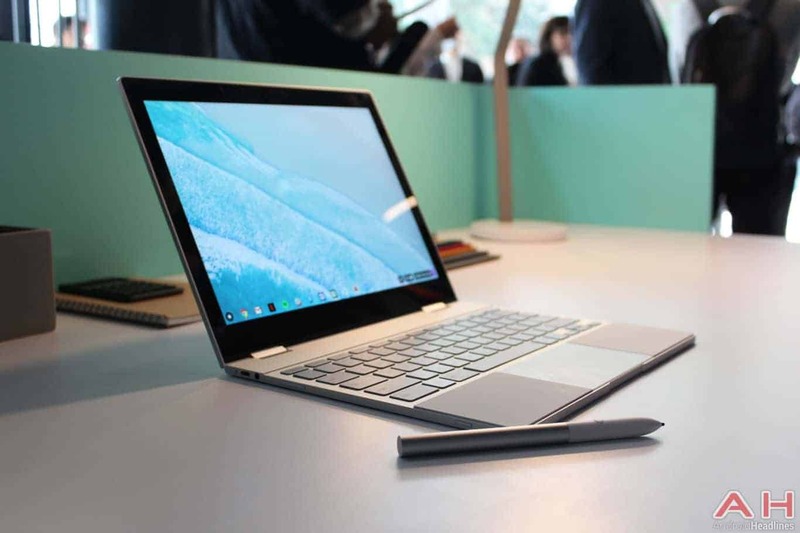 The Google Pixelbook is Google’s newest Chromebook which was announced next to the company’s Pixel phones. This device is made out of metal, and it is actually quite powerful. The device is fueled by either the Intel Core i5 or Core i7 SoC (two variants are available), while it comes with 8GB or 16GB of RAM and 128GB / 512GB of native storage. The Pixelbook also comes with a stylus, and its display is touch sensitive, so it can be used as a tablet as well. The 8GB RAM model of the device is priced at $1,199 over at Amazon (ships on October 31), while the 16GB RAM model with Core i7 SoC is still not available. 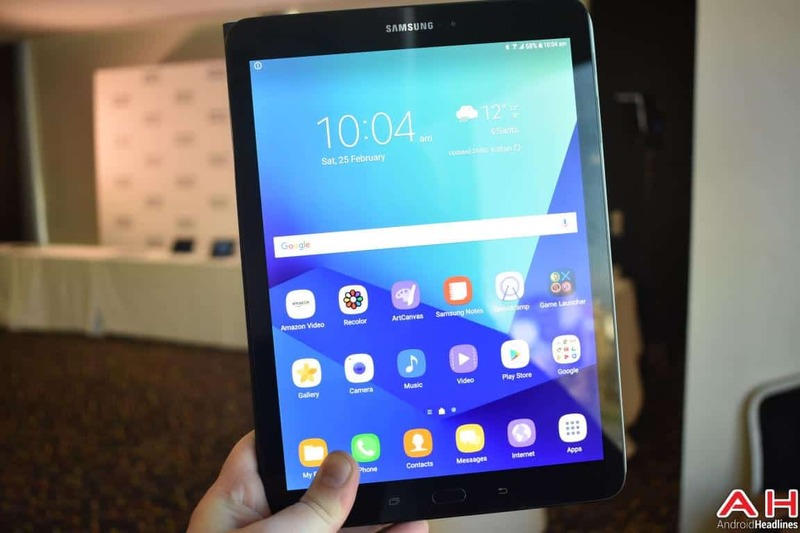 The Galaxy Tab S3 is the most powerful tablet Samsung has to offer at the moment. This tablet is made out of metal, while it sports a front-facing fingerprint scanner. The device sports a 9.7-inch 2048 x 1536 display, 4GB of RAM, and it is fueled by the Snapdragon 820 64-bit quad-core processor. Android 7.0 Nougat comes pre-installed on this tablet, and on top of it, you’ll find Samsung’s custom UI. This tablet comes with an S Pen stylus, and it is currently priced at $498 over at Amazon. The Galaxy Tab S3 is currently one of the more powerful Android-powered tablets out there, if not the most powerful one.